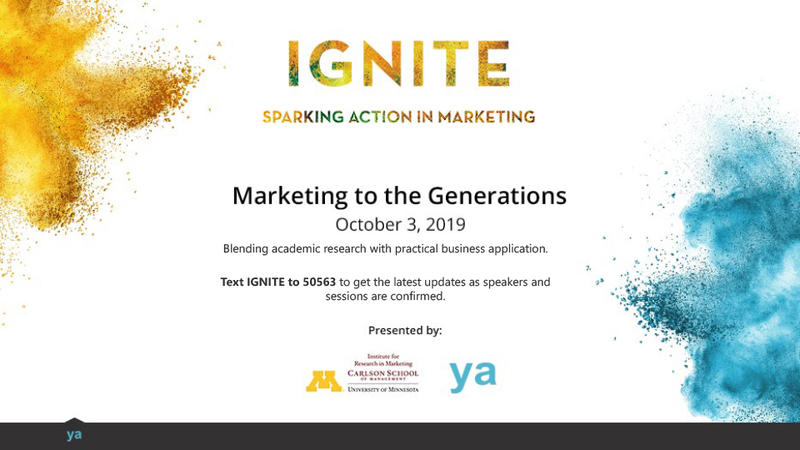 Join us for the 2019 Ignite conference presented by the Carlson School of Management and YA on October 3, 2019. The Ignite conference was started with the goal of sparking action in marketing, and this year’s event focuses on marketing to the generations, specifically blending academic research with practical business application. Text MDCIGNITE to 50563 to get the latest updates as speakers and sessions are confirmed and special offers are issued.